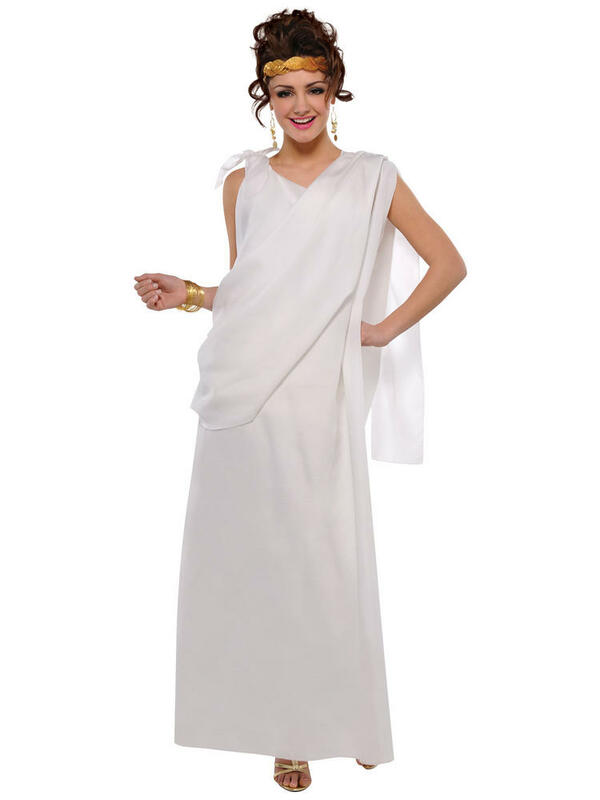 Transform yourself into a Greek God / Goddess with this adults Toga costume. 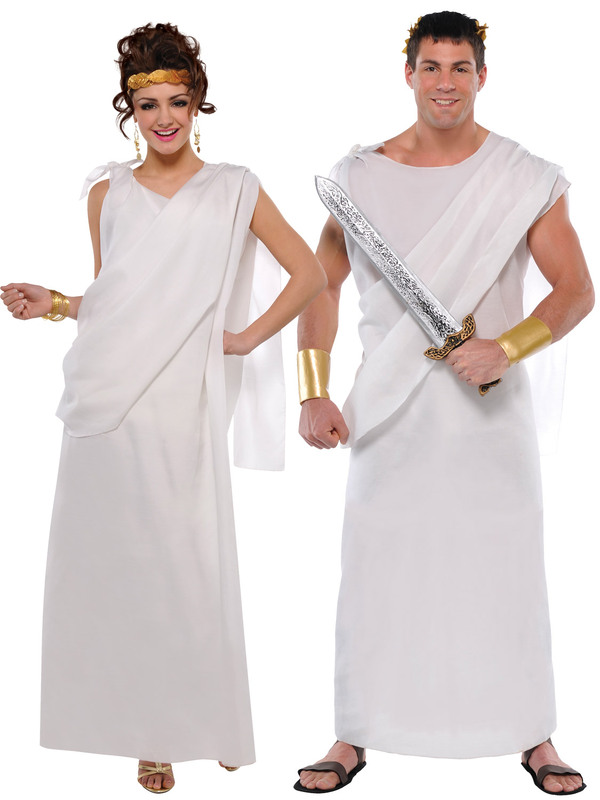 It's perfect for Roman / Grecian themed fancy dress parties! 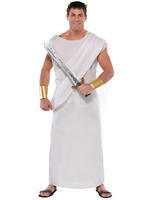 Includes a white toga costume with rushing at the front and ties on one shoulder. Available in a Standard Size which fits most adults. Check out our shop for more Grecian fancy dress costumes.